I shall first take this opportunity to welcome you to the first issue of our PROTEIN2FOOD newsletter. There will be an issue twice a year bringing the latest updates on the project’s progress and activities. This first year has brought many exciting activities. We have hosted a number of local and international stakeholder workshops and I am happy that more than 50 have signed up to the project. This is a positive sign as stakeholders are essential for guiding the project in the right direction and ensuring maximum impact of our work. The second season of field trials have just begun and we are hoping for the successful growth of quinoa in Romania. We held our Kick-off meeting in Køge, Denmark, and our first annual meeting in Olsztyn, Poland. The meetings produced lively debates on the parameters for obtaining high-quality food protein and how to ensure development of sustainable, competitive products. The biggest challenge and strength of PROTEIN2FOOD is the incorporation of the entire value-chain and it is amazing to see how much we can achieve when all strings are playing together. I look forward to the coming years and our fruitful collaborations. 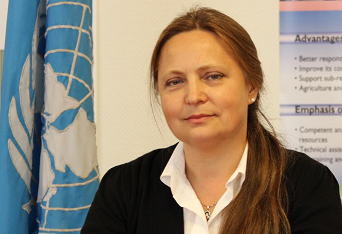 In a recent interview, PROTEIN2FOOD had the pleasure of speaking with Dr. Eleonora Dupouy, who works at the Food and Agriculture Organization of the United Nations (FAO)*. FAO called for a dedicated International Year of Pulses (IYP) and 2016 has been declared as such by the UNGA in which it aims to raise awareness of the multiple varieties and benefits of pulses for food security, nutrition, health and environment. Moreover, it highlights the enhanced investment in research and development, production, trade, and consumption of pulses. Dr. Dupouy believes that all people can benefit from eating pulses: infants and young children, vegetarians and vegans, and coeliac patients as pulses are gluten-free. Pulses are healthy, high in protein, and contribute to a more sustainable agriculture. She explained that the amount of water used to produce one kilogram of animal-sourced protein-rich food is hundreds of times higher than the water necessary to produce one kilogram of pulses. Also, drought-resistant varieties of pulses open up the possibility of using marginal (poor-quality) lands for food production. The full length interview with Dr. Eleonora Dupouy is available here. 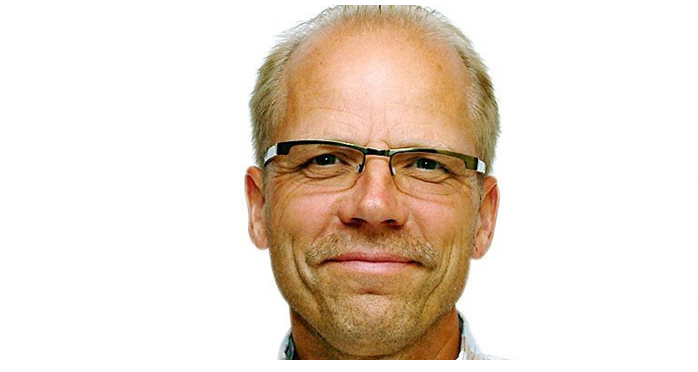 PROTEIN2FOOD aims to improve the production of food crops with high protein value in Europe. As part of the project, Satean Foundation is testing the cultivation of quinoa in Cudalbi, Romania. With seeds provided by the University of Copenhagen, and with the technical assistance of ISAFOM (the Institute of Agriculture and Forest System of the Mediterranean), Satean is looking into the effects that rainfall, droughts and salinity can have on the protein level and quality of this grain crop in Europe. This research will allow for better understanding of when and where the crop can best be sown. Several local Romanian farmers and entrepreneurs signed up to take part in the project. After the first sowing did not go to plan, a second sowing happened on the 15th of June 2015. Harvest of these seed took place in October 2015. 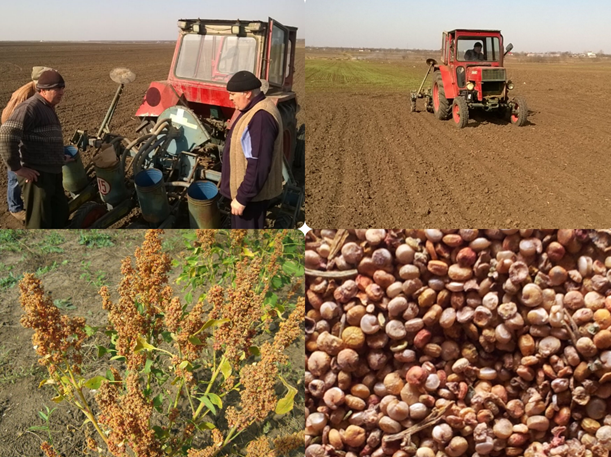 Thanks to the positive results of this second planting, it was decided to extent the quinoa trials and in April 2016 local farmers sowed quinoa seeds in different areas of Romania. 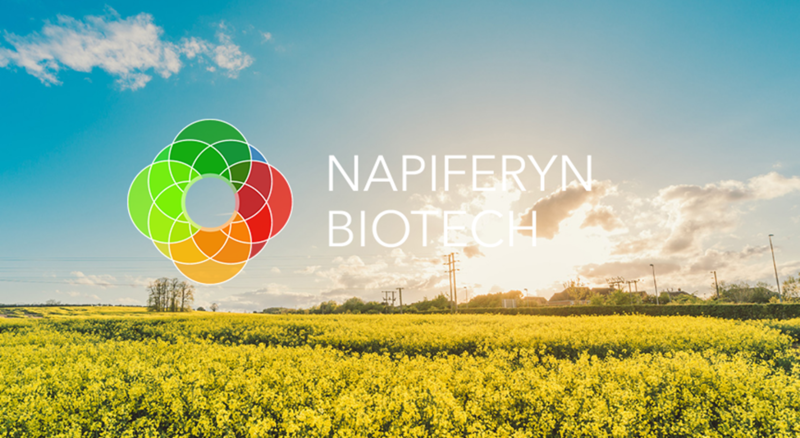 Napiferyn Biotech is one of the stakeholders who took part in the project’s first Stakeholder Forum on 10 February 2016 in Olsztyn, Poland. The company specialises in the development of new technologies for extraction and isolation of nutritional components from plants such as oilseeds and legumes. Likewise, one of the many aims of the PROTEIN2FOOD project is to design such techniques that are industrially applicable and environmentally and economically sustainable. Kozłowska advises the PROTEIN2FOOD consortium to promote open innovation and to share experiences from both successful and failed attempts in developing novel food ingredients and formulations. 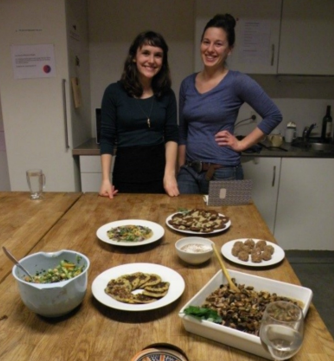 Two international students from the University of Copenhagen are creating dishes with amaranth as part of the PROTEIN2FOOD project. Amaranth is a great source of protein, however it lacks popularity in home kitchens and consumers are not equipped with the best way to cook the grain. The students have developed new dishes including breads, cakes, snacks, starters, salads, soups, main courses and desserts. Colleagues, friends and fellow students have been invited to act as a sensory panel in multiple tasting events to help develop and improve the vegetarian recipes. The objective is to make a recipe book that will help promote the use of amaranth in European kitchens.